Vulnerability : Microsoft IIS Zero Day Still Open ! A vulnerability has been identified in the Microsoft Internet Information Services (IIS) where the server in incorrectly handling files with multiple extensions separated by the “;” character such as “malicious.asp;.jpg” as an ASP file. It was found last year April 2008 but was reported in December 2009. This vulnerability has a very high impact on IIS as the attacker can bypass file extension protections by using a semi-colon after an executable extension such as “.asp”, “.cer”, “.asa”, and others. This vulnerability is applicable for many IIS versions leading web applications to danger. A measurement which was performed in summer 2008 on some of the famous web applications, 70 percent of the secure file uploader’s were bypassed by using this vulnerability! How was the vulnerability discovered? Using Simple fuzzer by using ASP language. How does the vulnerability work? Besides using semi-colon, “:” can be used to make an empty file with any arbitrary extension.For example by uploading “test.asp:.jpg”, an empty ASP file “test.asp” would be created on the server on an NTFS partition. This is only because of “NTFS Alternate Data Streams” and it is completely different from the semi?colon vulnerability. 1. Never accept the user’s input as the filename. 2. Accept alpha-numerical strings as the filename and its extension. As this vulnerability talks only about filename and extention so does the the vulnerability. 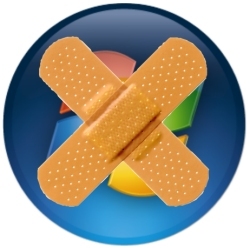 Hope Microsoft soon finds some patch or servicepack which covers this vulnerability.